Hey, Lady Grey: Hooray for the weekend, and for being back up north! Hooray for the weekend, and for being back up north! Oh I'm just thrilled that it's Friday! And I'm so happy to be back here in the north. I surprised myself with how much I missed it here. I miss the quiet. I miss the sunsets. 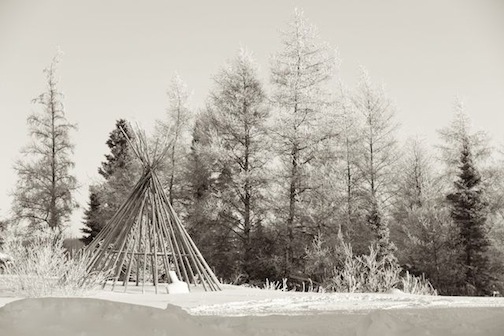 I miss cross-country skiing through the beautiful forests. While I'm up here, I tend to spend so much time missing the city and all it's little luxuries, that I forget how amazing it truly is up here. And look what was waiting for us when we got home... two beautiful pairs of hand-stitched Cree moccasins, his & her style. 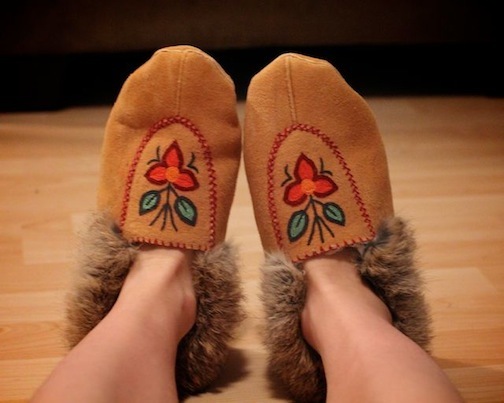 Enjoy your weekend and your Cree moccasins! They look so super comfy! 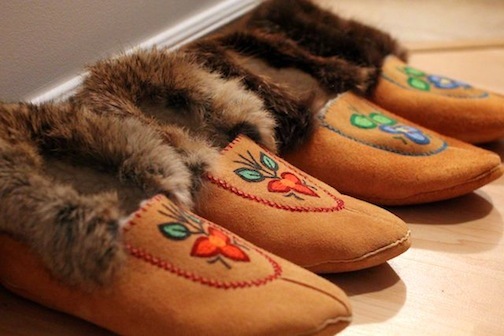 These moccasins are just amazing! I still have a few beaded pieces my grannie made me..moccasins,mitts and wrap arounds for my son..I will always keep them as she has passed on now. do you know the maker? I gotta say, I am impressed you still shave your legs, I'd welcome an extra layer of hair to keep me warm in -30 weather! haha. And those slippers look divine.